Pragnell Books is a brand built around the talents of teacher and classical language specialist, Fred Pragnell. Author of several educational books teaching Latin and Ancient Greek as well as Arabic and English as a foreign language, Fred approached Collective Creative in need of a brand identity, online presence and offline marketing materials to publicise his work and area of expertise. For the branding, we created a logo that resembled characters within the Latin alphabet, whilst incorporating both the ‘P’ and the ‘B’ of the company name, Pragnell Books. 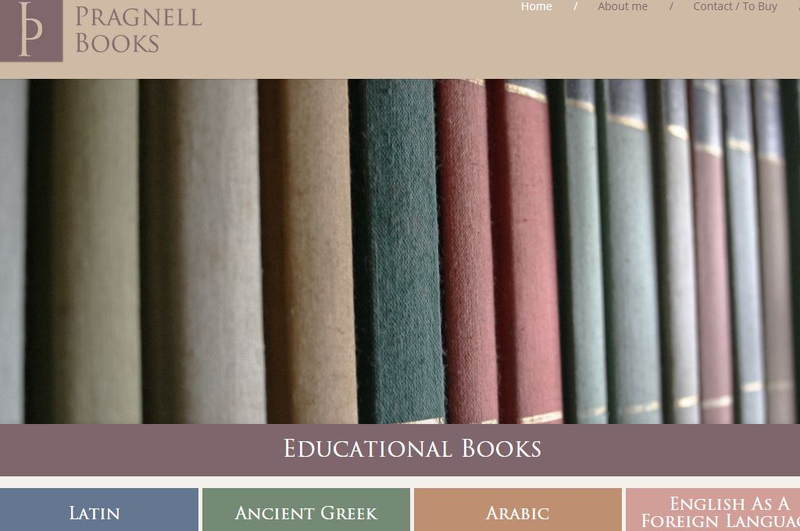 A somber brown-grey tone was used for the logo, against the similarly earthy colour scheme throughout the website and marketing leaflets to emphasise education and history at the core of the Pragnell Books identity. 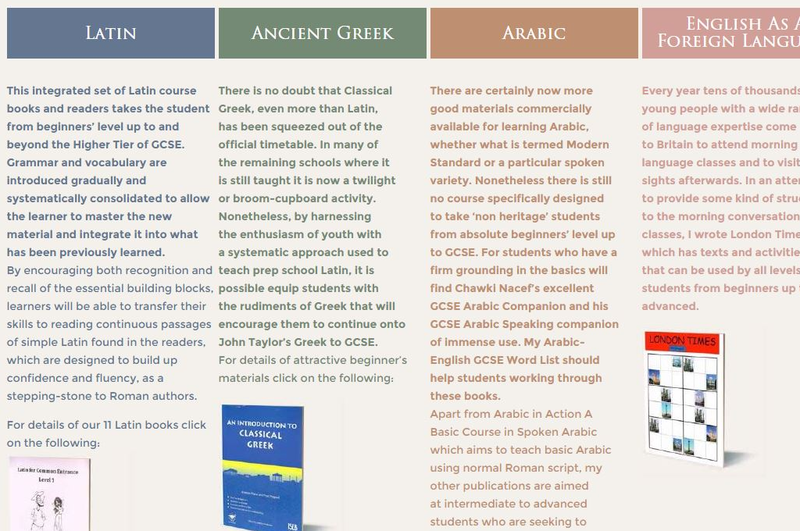 A later addition to the Pragnell Books website was the blog – implemented to encourage discussion amongst teachers and students and to develop a community around these specialist languages subjects. Once the blog was up and running, we sent out a direct email marketing campaign via Mailchimp to announce the launch of the blog and inviting the targeted list of recipients to contribute.